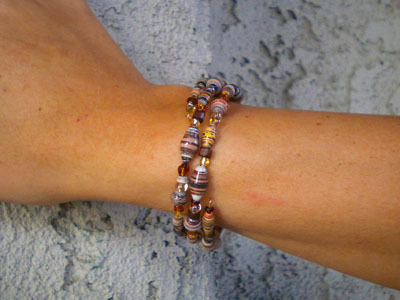 The memory wire is great for fast and easy bracelet that looks like you have spent hours doing it. The only hard thing about it is that you need a heavy cutter or memory wire cutter to cut the wire DO NOT use your regular wire cutter or it will damage it. 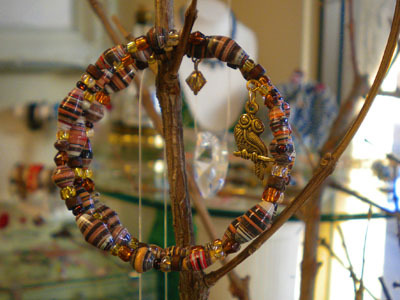 Here is a three loop memory wire bracelet using brown olive shaped paper beads. Kayla just strung them at random but it will be nice also if you actually have a pattern. You can see above that we did not put anything on the loops. It is nice to hang on some charms to it or dangle a crystal. Another idea is to do 7 loops or more! What do you think? If we decide to make the memory wire bracelet instead of the Paper Beads In Orbit bracelet, I am sending you the pre cut memory wire in your kit. Tomorrow is my birthday, I am turning ‘ty three 🙂 I will be celebrating it on Saturday with colleagues from work and we will be making tiaras! We’ll see how this will turn out. myself, it turned out great. and God is blessing me already. HAPPY HAPPY BIRTHDAY JANICE!!! And wishing you many many more! HAPPY BIRTHDAY!!! I hope you had a good day. 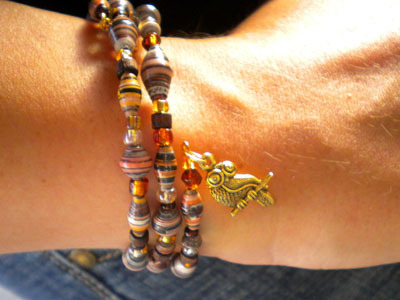 I love the memory wire bracelet and can’t wait to make one. I love the memory wire bracelet. Hope you have a wonderful Birthday. All the best for the coming year. Thank you for all your help. I hope you have a grand birthday! Happy birthday Janice, have a lovely day! happy happy birthday janice!!! 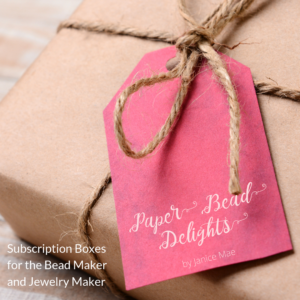 you’ve been wonderfully patient in helping us creat beautiful paperbead jewelries, for over a year now we have followed you, thank you thank you and more birthdays to come!!! 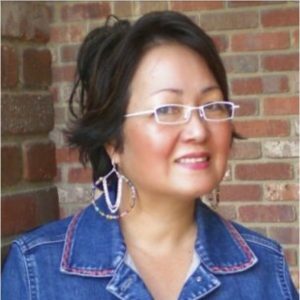 HAPPY BIRTHDAY JANICE!!! I hope that you have a Fantastic Day Today! Enjoy making your Tiaras tomorrow! Thanks for the video on making this bracelet! I Love it! Happy Birthday!!!! Hope you have a wonderful day. I love the memory wire bracelet but wasn’t sure how to do it myself. I love that you provide great tutorials. Wishing you HaPpY BiRtHdAy with many more to come and hoping that your days are overflowing with joy and happiness! P.S. 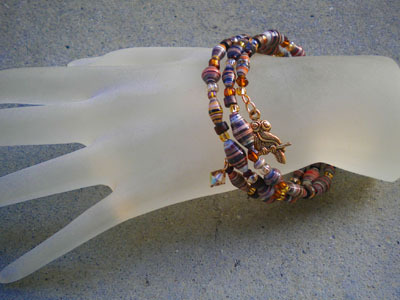 I love the memory wire bracelet….I purchased some earlier this week to make a bracelet also.